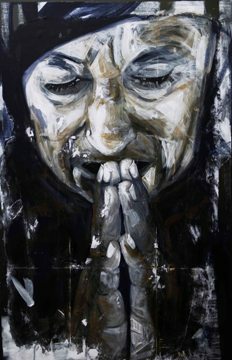 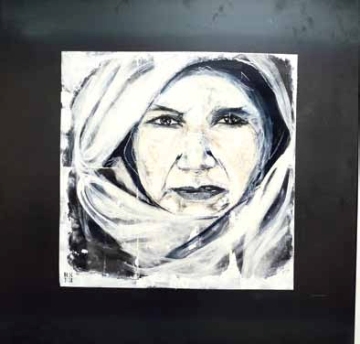 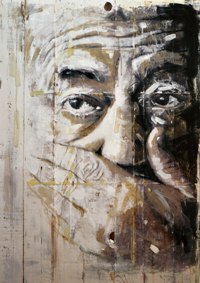 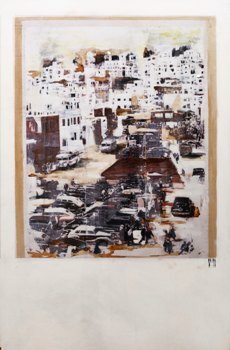 Nabad opens an exhibition of paintings and collages by young Jordanian architect and painter, Rawan Kakish. 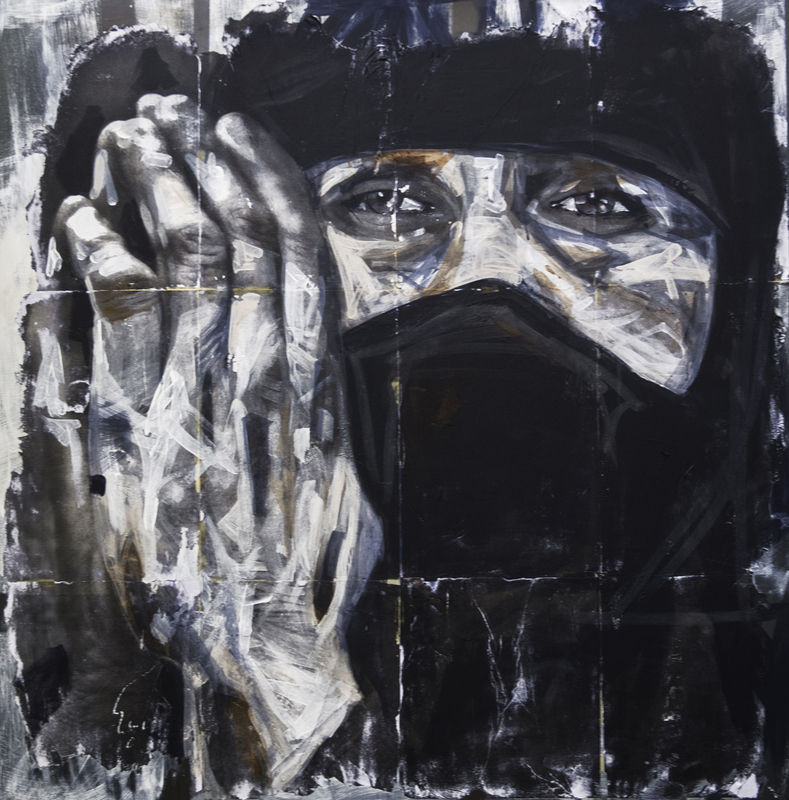 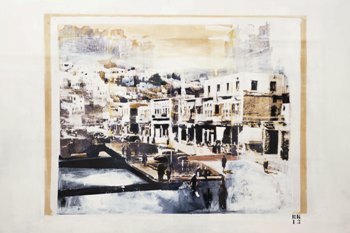 In her second solo exhibition, “Testimony of Presence,” Rawan Kakish presents a new collection of portraits and cityscapes. 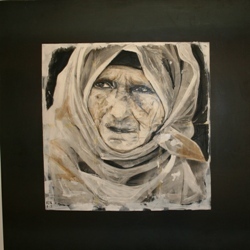 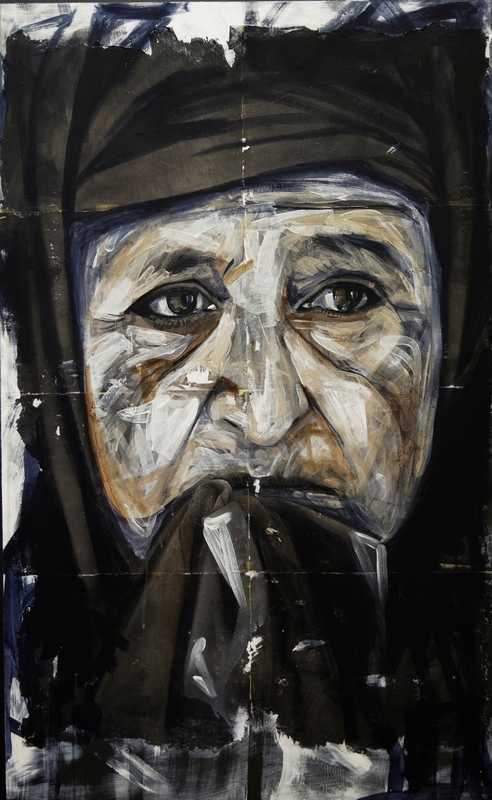 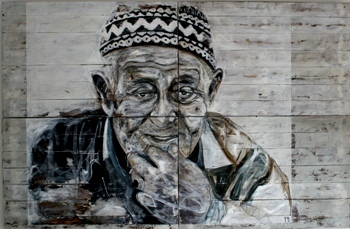 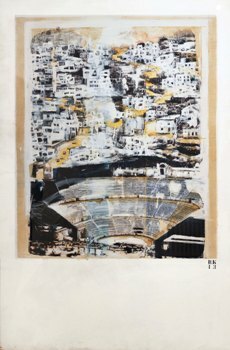 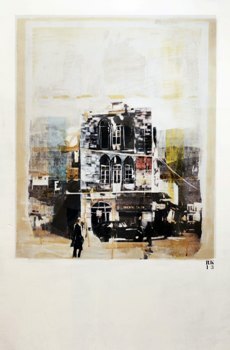 Using photographs of elderly people as inspiration for her portraits, and archival photographs of Amman as a background to her mixed media collages, the artist bears witness to the past by capturing spontaneous moments in time and infusing them with warmth and nostalgia. 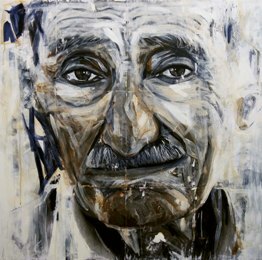 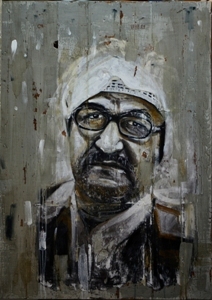 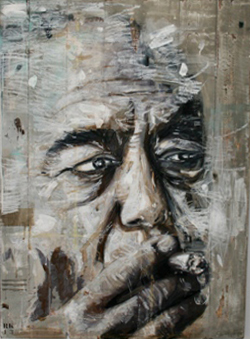 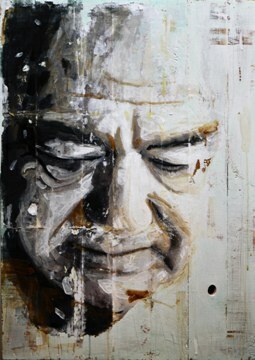 Each deeply-lined face of the men and women depicted in her portraits seems to tell a life story. 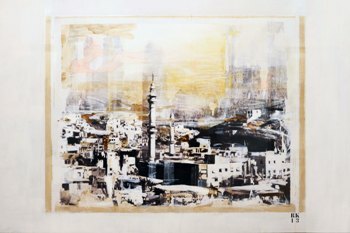 Rawan uses milk paint, which lends a rich and translucent finish to her paintings, while the recycled wooden pallets and metal backgrounds give them a distinctly contemporary, organic quality. 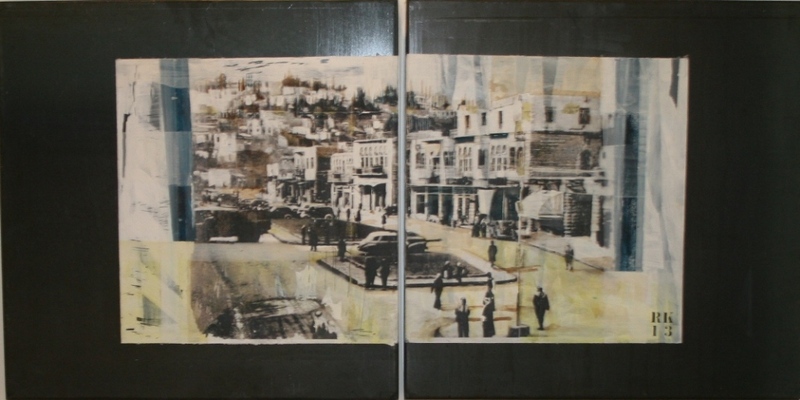 The old and traditional serves as a basis for the new and innovative.